The blue glow from televisions and other screens suppresses natural mechanisms that help us fall asleep at night, and blocking just the blue wavelength may restore normal nighttime sleepiness, according to a new study. 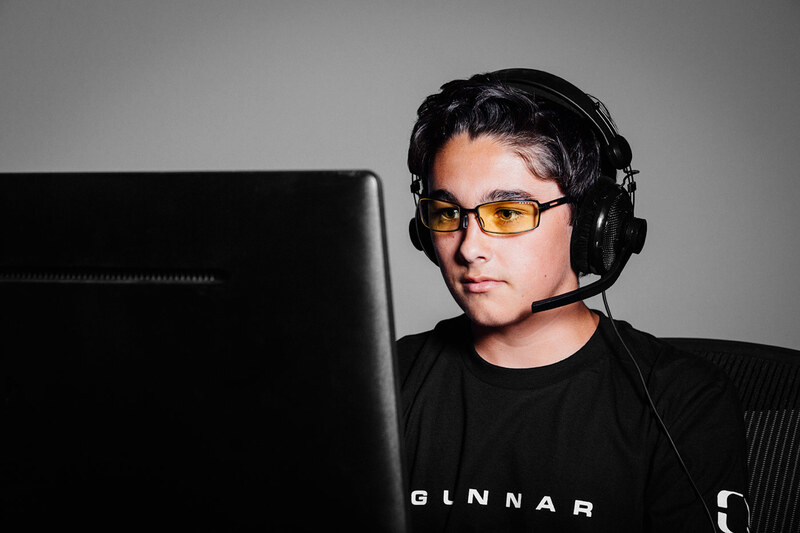 Teenagers who used computers and other digital devices while wearing the glasses every evening for a week felt markedly more relaxed and sleepy at bedtime than when they just wore clear glasses, Swiss researchers found. 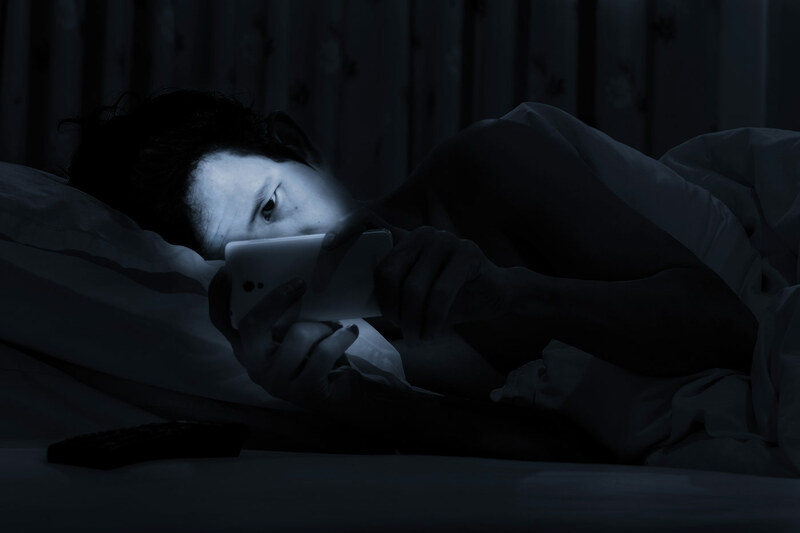 Looking at computer screens in bed has been linked to insomnia and to difficulty waking up in the morning in previous studies. Light impacts circadian rhythms and sleep-wake cycles, the authors note. Teenagers already have a pronounced preference for staying up late, the study team writes in the Journal of Adolescent Health. But having to wake up early for school builds up a chronic sleep debt that affects teens’ mood and focus. Light-emitting diode (LED) screens give off short-wavelength light, which has been shown to block a natural evening rise in the hormone melatonin that promotes sleepiness. Exposure to this blue light keeps the brain alert and “activated” when it should be slowing down to shift into sleep mode, the researchers say. For the new study, they used orange-tinted “blue-blocker” glasses that filter out short wavelengths of light in the blue portion of the visible spectrum. The researchers recruited 13 healthy boys between the ages of 15 and 17, and for one week, the teens kept to their regular sleep schedule at home but did not go out in the evenings or have caffeine drinks. They wore blue-blocker glasses from 6 p.m. until bed time each evening, while keeping diaries of how long they wore the glasses and how much time they spent with LED and non-LED screens as well as a sleep-wake log. At the end of the week, the participants spent one overnight in the laboratory, sitting for two hours in dim light, darkness for half an hour and then three hours in front of a backlit LED computer screen wearing the blue blocker glasses. They completed cognitive tests and provided saliva samples. Then the participants went to sleep for eight hours, and performed the same cognitive tests and saliva samples upon waking in the lab again. All participants went through the weeklong study protocol twice, once wearing blue-blocker glasses and once wearing clear glasses for comparison. The kids reported spending the same number of hours with LED screens with blue-blocker and clear glasses. They reported feeling sleepier with the blue blocker glasses, especially toward the end of the evening. Based on their saliva samples, kids who wore clear glasses had less melatonin, called the “darkness hormone,” at bedtime. Kids who wore the blue blocker glasses had higher melatonin levels from 90 minutes to five minutes before sleep. The type of glasses did not seem to make a difference on the length or perceived quality of sleep itself. The short-wavelength photoreceptors in the eye which respond to blue light act to reset the timing of the internal clock, suppress melatonin production, improve alertness and performance, and elevate brain activation, Bromundt said. “Blue blockers therefore can prevent those light responses which are not helpful in the evening hours when our body and mind has to prepare for sleep,” she said. But the blue-blocker glasses also blocked a significant amount of light generally, not just blue light, said Mary A. Carskadon, who researches associations of sleep regulatory mechanisms with sleep-wake behavior of children, adolescents and young adults at Brown University in Providence, Rhode Island. “Not only were they blocking blue, but they were also blocking a lot of light so it was dimmer in general,” said Carskadon who was not involved in the new study. “So it’s hard to detect what really is inducing the effects that they see, which were not very large.” If it is not the blue light, but the general dimness making a difference, there might be the same effect if kids just turn down the brightness on their devices, she said. Kids wearing clear glasses performed better on the cognitive tasks and had faster reaction times than those wearing blue blocker glasses. “If kids are looking at screens, playing a videogame, they are not going to want to have their performance affected,” Carskadon said. Although they did not change sleep timing, latency or other measurable aspects of sleep quality after one week of use in this study, the blue-blocker glasses did seem to increase sleep readiness for the male teens, Bromundt said. The results would likely be the same for female teens as well, she said. “More and more suppliers of light therapy devices offer blue-blocker glasses in their range of products, because both bright light at the appropriate time of day and darkness or light-blocking devices in the evening and night are applied to consolidate our sleep-wake cycle and can therefore improve sleep and well-being,” Bromundt said. Brown or yellow tinted glasses may reduce light transmittance also, but do not block as much light in the blue wavelength range as orange glasses, she said.